Symposium is pleased to announce that Hopedale Fire & EMS is the latest agency to choose our industry-leading Horizon EME CAD and EMMobile mobile data solutions to help them respond faster, safer, and more effectively. Settled in 1660, Hopedale is located in the central part of Massachusetts between Boston and Worcester, and hosts many structures of national historic significance. Now, with the capabilities provided by the new CAD and mobile, Hopedale Fire will enjoy the type of highly sophisticated dispatch and response capabilities enjoyed by other Symposium clients. 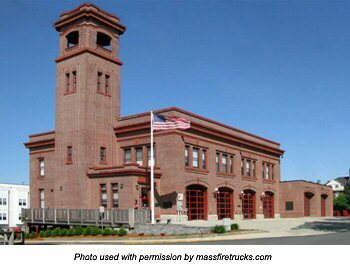 The new EME CAD system will integrate with Hopedale’s existing FIREHOUSE® RMS system, meaning that each premise’s pre-fire plans, HAZMAT, contact info, and other information will be available directly in the dispatch system. As an incident progresses, all the response-based information and benchmarks recorded in the CAD will automatically flow back to FIREHOUSE®, simplifying reporting and statistical analysis. Hopedale will also be receiving the EMMoble mobile data system. The EMMobile incorporates a map-based interface that enables responding personnel to see both the address and location of the incident as well as other nearby features that might be important, such as open and closed hydrants, locations of interest, road closures, and active burn permits, among others. Responding personnel can update their status and record benchmarks in real time using a quick and easy touch-screen interface, thereby notifying dispatchers as to the changing situation and recording important response and incident times in the CAD’s audit trail. The EMMobile can also query the RMS system directly in much the same way as the Horizon EME CAD, providing access to important premise information such as premise contacts, HAZMAT, and building diagrams. We’re looking forward helping Hopedale achieve the same improvements in speed, safety and effectiveness that other Symposium clients have experienced. To find out more about how we can help your department do the same, please contact Symposium by emailing us at info@symposiumtechnologies.com.